Eater Tastings: Fro-Yo Wars Claim Victim, Cupcakes Take Midtown, TV Can't Save Black Pearl, More! 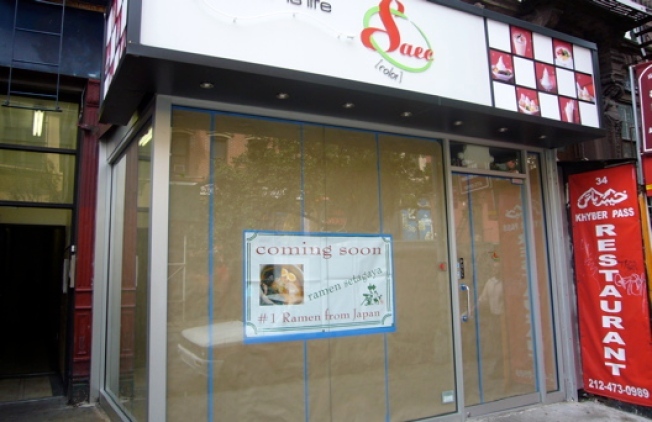 1) East Village: For a while, it seemed like St. Marks Place could actually support its 10,000 frozen yogurt stores, but sadly one has fallen. Goodbye, Saec (formerly Very Berry), and hello to the latest trend: a new ramen shop. 2) Rockefeller Center: Finally, Magnolia Bakery got wise and is now bringing the cupcakes directly to the tourists without forcing them to hop in a cab. 3) Flatiron: The Black Pearl, the 26th Street lobster shack featured on last week's episode of Gordon Ramsey's "Kitchen Nightmares," closed for business and will be taken over by ousted MePa BBQ bar The Hog Pit. 4) Tribeca: There are approximately 10 things left to do before David Bouley's Danube reopens on Hudson Street as Secession.